A tiger in the back garden! A bird-eating spider in the cupboard! Elmo and his sister love playing in the jungle house next door. That is, until mean old Mr Birdsnest moves in. But when it appears that Mr Birdsnest has kidnapped their grandma, they must sneak back in to rescue her! 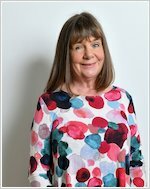 A fantastically funny short novel by Children’s Laureate Julia Donaldson, vividly illustrated by Hannah Shaw. This clever and witty story is part of the new Little Gems series from Barrington Stoke, designed to please confident readers while holding out a helping hand to those in need of extra support. Suitable for ages 5-10 with a reading age of 6+. As usual a great book from Julia Donaldson! This book includes a lot of animals like spiders! This book is brilliant because it includes a real life scenario- adults ruining your fun and games! In this book the mysterious man Mr Birdsnest moves in next door and takes over Elmo and his sisters jungle house where they like play. 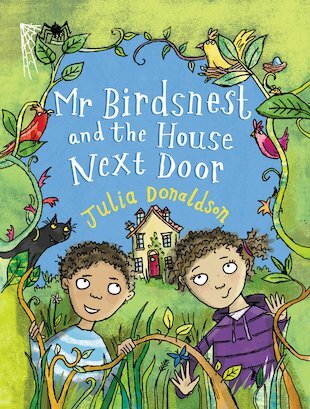 I rate this book 10/10, not the best book by Julia Donaldson but it was still fantastic! It had very easy words and great illustrations drawn by the wonderful Hannah Shaw. I recommend this book to people that love animals, mysterious happenings and Julia Donaldson.